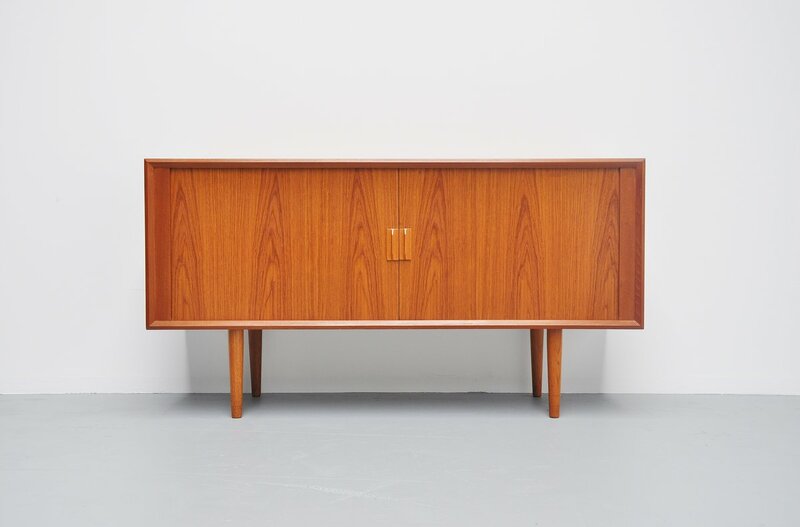 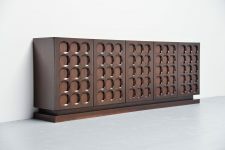 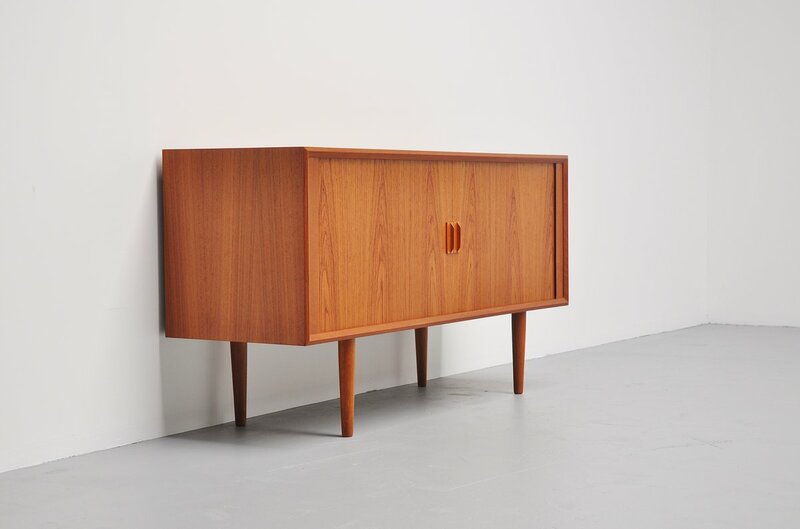 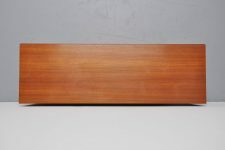 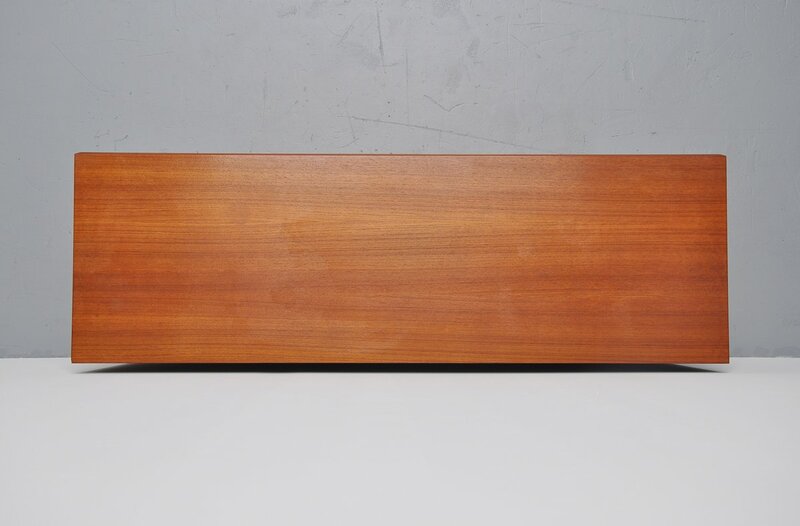 Very nice subtle credenza in teak designed by Svend Aage Larsen for Faarup Mobelfrabrik, Denmark 1960. 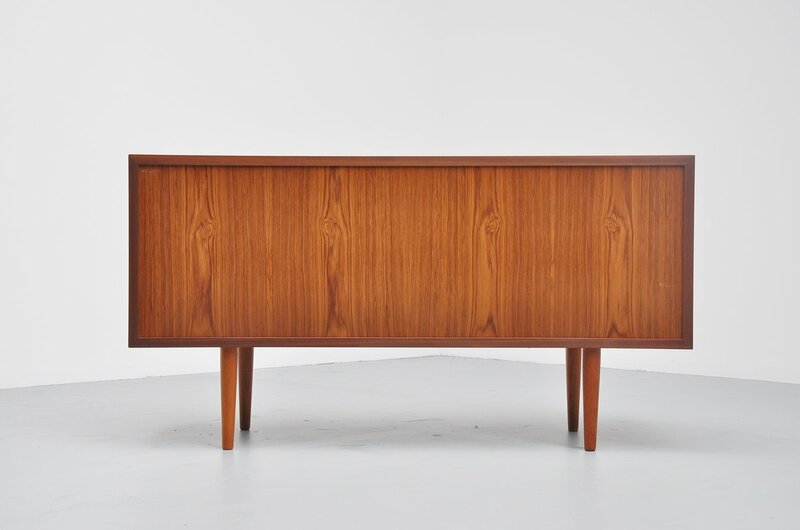 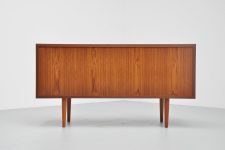 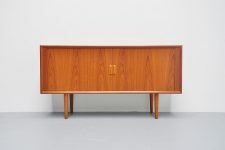 This credenza has a very nice tambour door front that looks highly refined. 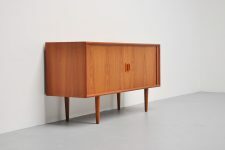 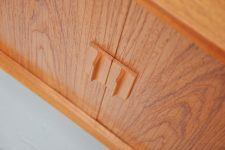 This quality credenza is made in teak, finished all around, even the back so you can put this in the middle of a room if wanted. It has shelves and drawers inside. 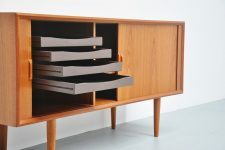 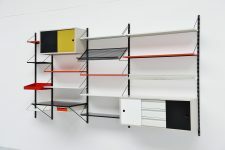 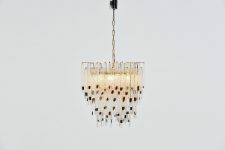 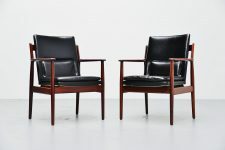 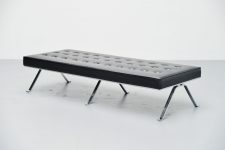 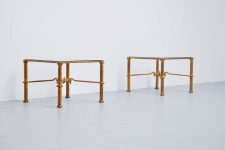 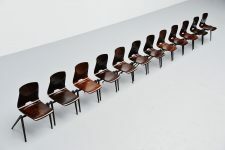 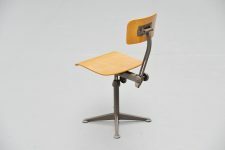 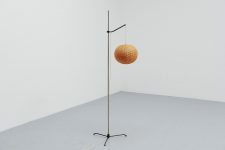 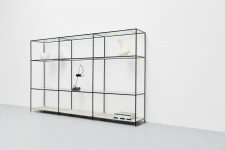 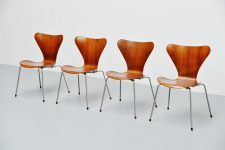 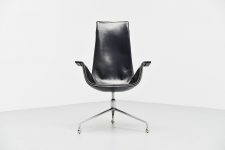 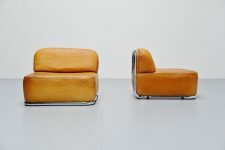 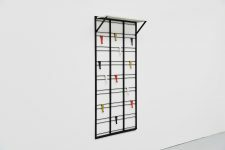 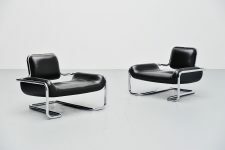 A very nice unknown piece of Danish design in very good original condition.